The leader of the terrorist organization made a statement on the anniversary of 9/11. Al-Qaeda leader Ayman al-Zawahiri called on Muslims across the globe to fight Americans in a video published by the terror organization on the 17th anniversary of the 9/11 attacks in the US. In the 30-minute video, entitled "How do we face America?," Zawahiri, who replaced Osama bin Laden at the head of the terrorist group after his assassination in 2011, portrayed the United States as a religious enemy of Muslims, using the relocation of the US Embassy in Israel from Tel Aviv to Jerusalem as one of the examples of said religious enmity. The Washington-based Search for International Terrorist Entities (SITE) Institute, which monitors media material created by militants across the world, released an English transcript of the message. "America [is] the number one enemy of Muslims… despite of its professed secularism," Zawahiri said in the video. "Seventeen years have passed since [former US President George W.] Bush launched his crusader war against Muslims, a war linked with the historical enmity directed towards Islam from its dawn to this very day," he continued. As he talked, he described his vision of the US' strategy against its enemies, saying Washington uses alliances to offset the costs of its wars and attempts to fragment its enemies with disinformation, among other tactics. He concluded by describing Americans as "weak, humble beings like the rest of mankind" and urged Muslims to strike "on the enemy's turf." Zawahiri listed 14 directives to fight the United States, including an appeal for Muslim unity and for jihadists to close ranks. Al-Qaeda, which lost the spotlight after the booming expansion of its top rival, the Islamic State, in 2014, took that time to reorganize itself and expand, experts say. The organization now has a strong presence all across northern Africa, according to infographics provided by the Sun, including in Tunisia and Libya, where it is particularly strong. The group also has a significant presence in India and Uzbekistan, but its main strongholds are Afghanistan, Pakistan, Somalia and Yemen. 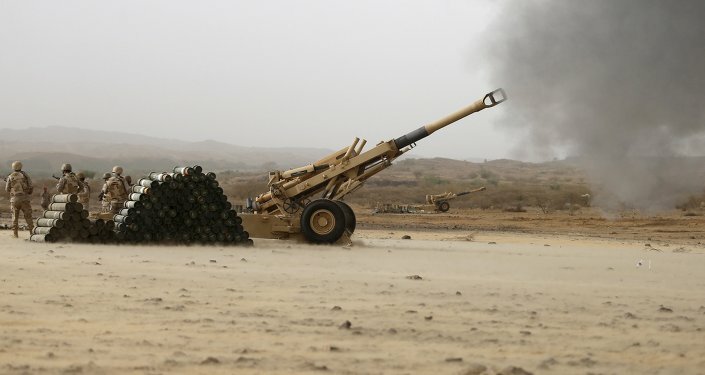 In Yemen, al-Qaeda is strong enough to convince the Saudi-led coalition fighting the Iran-backed Houthi insurgency to pay off its fighters instead of engaging them in combat, according to a Breitbart report on the issue. Despite the heavy-handed backlash that followed the 9/11 attack, the group is far from being destroyed. "One-third of al-Qaeda's leadership was killed or captured in the following year" after the 9/11 attack, the Wire reports on the issue. "The group lost its safe haven in Afghanistan, including its extensive training infrastructure there. Its surviving members were on the run or in hiding. Though it took nearly 10 years, the US succeeded in killing al-Qaeda's founding leader, Osama bin Laden. Since 2014, al-Qaeda has been overshadowed by its former ally al-Qaeda in Iraq, now calling itself the Islamic State." As international forces drive terrorists and militants from a variety of groups from Syria and Iraq, they are likely to realign themselves with al-Qaeda, UN experts told the Security Council in July. "Al-Qaeda's leadership demonstrates strategic patience, and its regional affiliates exercise good tactical judgement, embedding themselves in local issues and becoming players," the report said at the time.